Our wedding anniversary was this week, and my dear husband got me a Nexus 7. (As well as a custom app that tells me how long we’ve been married – 7 years, 4 days, 5 hours, 16 minutes, and 50 seconds as of this writing.) With a toddler in the house and a notoriously cluttered purse, I knew I needed a protective cover of some sort if it was to survive until our 8th anniversary. 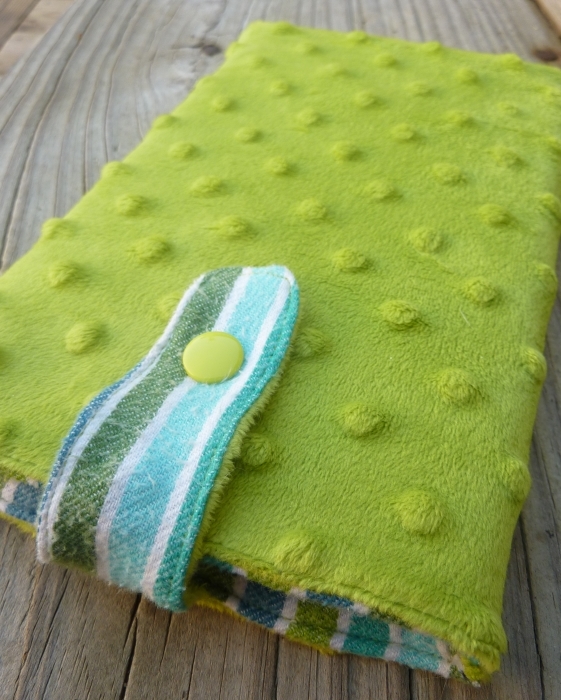 Enter the DIY tablet sleeve. You’ll want a little more room for seam allowance on the side. 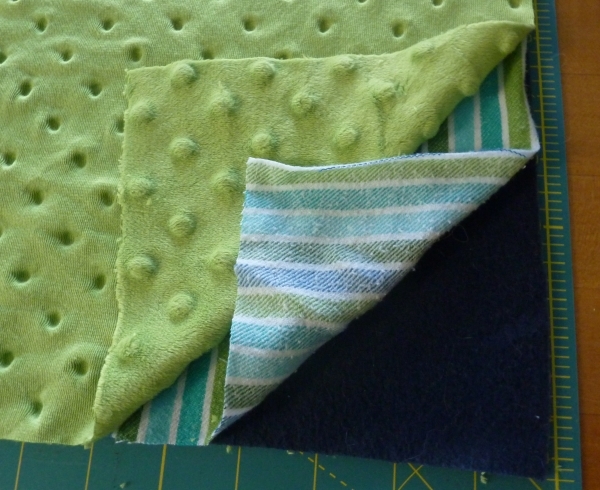 I’ve had some lovely, soft, green minky in my fabric collection for some time, earmarked for baby blankets but sadly neglected. I paired it up with a pair of scrap-pile flannel pajama pants. I wanted a little padding for the case, so I also grabbed some leftover thick fleece to go between the layers. 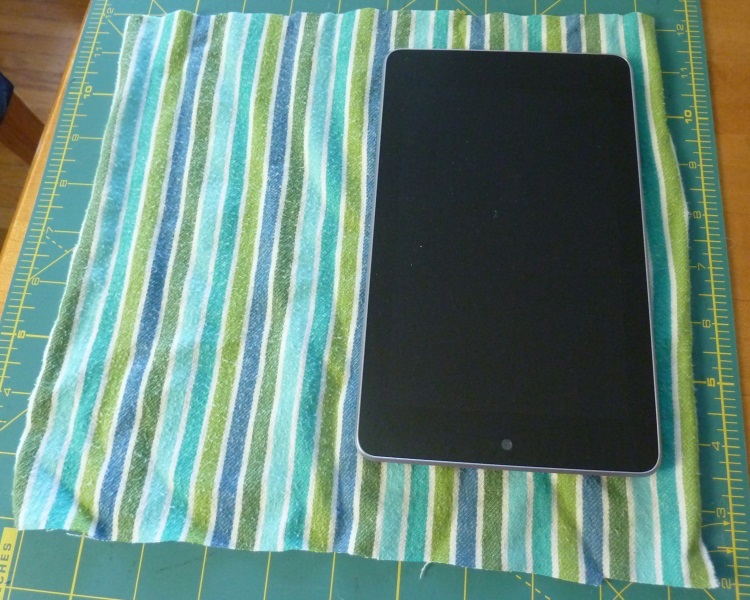 You need very little fabric to make a sleeve for a small tablet like the Nexus 7 or iPad Mini, so scraps are great for this project. You will obviously need thread as well, and a closure of some sort and interfacing if you like. Topstitch it if you’re good at that sort of thing – I’m not, but I did it anyway. You will also need to make the tab at this time. Fuse the interfacing to the back of one of the pieces. You can add the other half of the closure at this time, if you want it to be invisible, or wait until everything else is done in order to line them up exactly how you’d like. With right sides together, sew close to the edges on the two long sides and the top. You can make this a curved edge or leave it square. 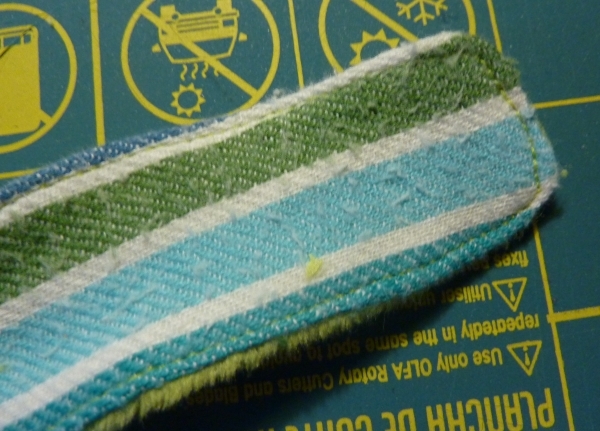 Trim the seam allowance to make it easier to turn and less bulky. Turn the tab inside out and press. I chose to topstitch, mostly because I didn’t want to iron, but that’s optional. Brought to you by a litre of beer. Put the tab on the opposite side of your snap, open end matched up with the top of your fabric stack, between the outer and inner fabric layers, with the side you want to face out (contrasting lining for me) facing up. Unfortunately, we went for beer and brats in the middle of this project and when I came back and finished it, my photo-taking suffered. I blame Oktoberfest. Anyway, please refer to the graphic instead. Pin the top edge and fold the outer fabric over, to make sure everything is properly placed and the tab has the correct side up. Unfold it if you’re happy! Top edge and snap, seam allowance trimmed. Stitch only the top edge. Trim the seam allowance. Fold the outer fabric over the seam, to encase the padding. 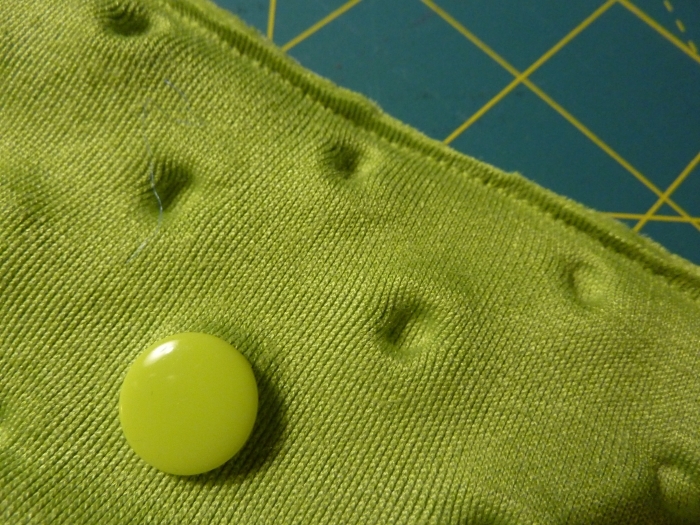 Press the seam, and topstitch if desired. You’re almost done! Lay the fabric flat, right (outer) side up. Place your tablet on one side and fold the other side over. Line it up vertically (do you want the top peeking out or hidden?) and pin around the tablet, making sure your closure is centered. 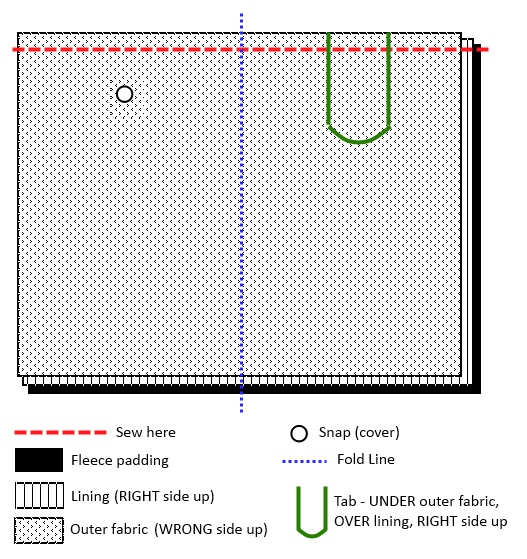 Take out the tablet and sew up the side and bottom. Trim the seam allowances and clip the corners. Turn out the bag. Attach the other closure if you haven’t already. There are a lot of ways to customize this case. You could add a pocket, appliqués, or even quilt the fabric after stitching the top edge. Make a flap or use a zipper instead of a tab to keep it closed. Add a little charging port. This is a great way to upcycle old clothes – I’m planning on making another from old felted cashmere sweaters. Whatever you use, make sure to use something soft to go against the screen – bonus points if you can use it to clean the screen!